One of my favorite way's of shopping is by far consignment shopping! Most of my designer pieces are pre-owned fashion pieces that I mostly shopped for in New York at Tokio7 and INA. The Vestiaire Collective is just that but online. 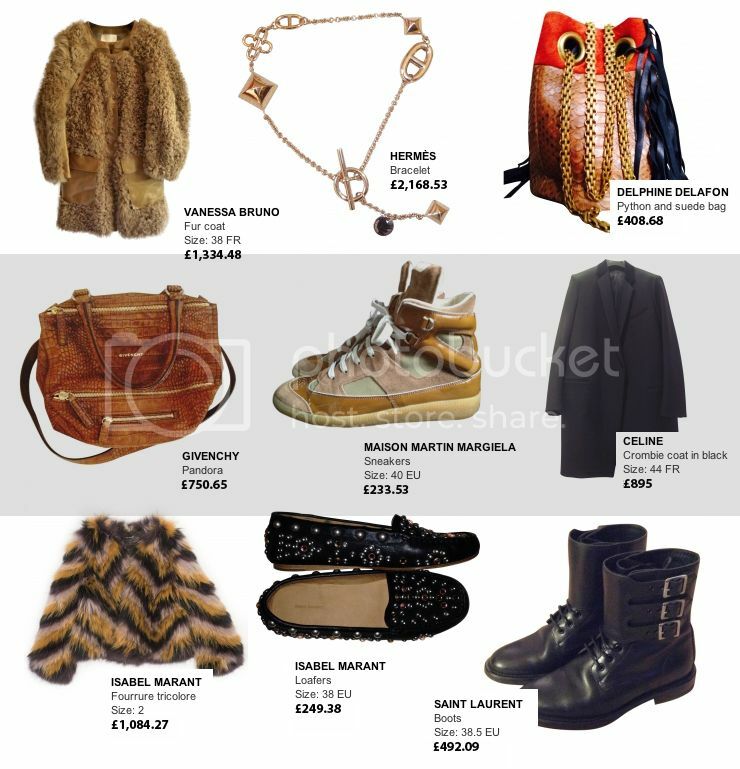 A platform to buy&sell pre-owned designer items like the Stella McCartney Sweater as seen on AlicePoint! Not only am I no longer bound to NYC and have to be lucky enough to find something cool but the Vestiaire Collective platform has a lot more to offer and choose from with its impressive fashion stock, it's easy to browse and has amazing recommended items by Glamour and Vogue! Very important too is that unlike Ebay, Vestiaire Collective rigorously checks items for authenticity, making sure the items aren't counterfeits or mis-priced! Not only is Vestiaire perfect for shopping, it's perfect for selling designer and luxury pieces too! I simply logged in through my facebook and have been mostly snooping through the "Just-In" items and the "Le Journal" for some extra inspiration! Lovely Alice from AlicePoint wearing her gorgeous Stella McCartney Mohair Sweater! The easy to browse Vestiaire Collective site with my favorite "Just-In" and "Le Journal" tabs.